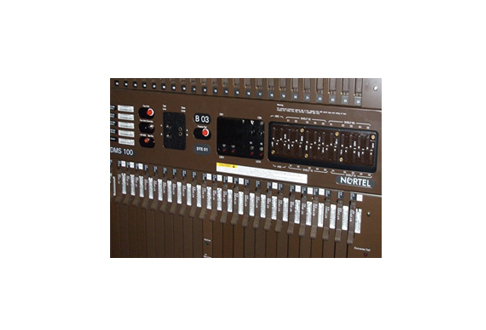 Nortel has a long history of providing high-quality, class-4 telephone switches like the Nortel DMS 250. These tandem switches allow telephone providers to connect central office exchanges to local exchange offices for long distance communications. The Nortel DMS 250, like other class-4 switches, won’t connect directly to any customer telephones, but instead bridges locations by connecting to class-4 and class-5 telephone switches — where subscribers are ultimately wired into for service. Maximize the reach of your network with a refurbished Nortel DMS 250 from Worldwide Supply. Our engineers and testing department will ensure that your switch operates perfectly, no matter what size interexchange carrier you run. We’ll support its SuperNode processing architecture to ensure the proper handling of high-speed messages so you don’t drop the ball on any voice or data communication requirements from your customers. And a complete team of certified, OEM-trained engineers who know how your used Nortel DMS 250 should operate and verify that all the equipment we sell exceeds baseline standards. Worldwide Supply is your go-to partner for networking equipment that’s designed to increase your revenue across the long haul. With a refurbished Nortel DMS 250, you get high-quality support that’s designed to be simple to operate, minimize complex parts or repair concerns, and provides advanced OAM&P functionality so every new service area can be addressed as quickly as possible.